I have always wondered how heaven is like since I was very young. I wondered if I will still know who I am, that is if there were no tears and no sin, would I be still me? Will I remember my sad past in nostalgia and still not feel even some kind of sadness? Or worse, will I not be able to remember at all? 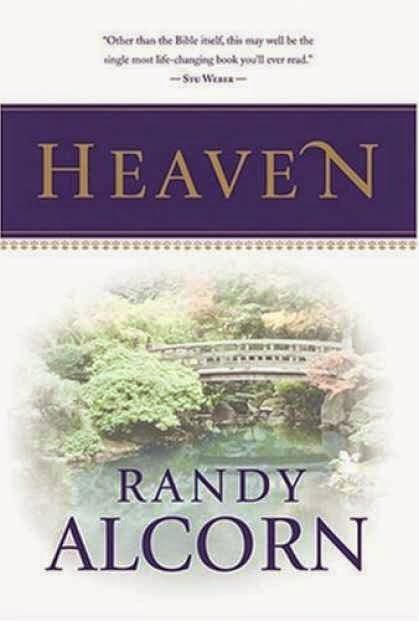 Then over the years, I begin to have a firmer picture of heaven, as an actual place where I will still be who I am, with the full presence of God with us. And I will have with me all the treasures I have accumulated while on (the old) earth, like love, patience, kindness, etc. I will get to do stuff I love to do. And most probably I will have work but work that is joyful and fun! I will have all the people around me whom I do not have to second guess because our relationships will be perfect and transparent. I do not have to worry about making anyone angry or feel bad because we will be in an eternal spirit of giving and love. That is my current understanding of heaven. The priest then said we cannot read the Scripture literally all the time. And the "place" here is not literal. I am of course not convinced. If the "place" is not a place, where in Scripture can he prove that it is not a place but a state? I don't think he can disprove that by just commenting that it is not literal. The way I see it, the gospel of John is to be read literally. It is not an apocalyptic writing like Revelation. This is where as I have noted yesterday, that I will finally dig into that book sitting in my library for far too long. I have just started and I like his writing. And here is a paragraph I really like, and mind you, I have just started reading the book and I certainly look forward to the coming days snuggling in a comfy corner reading about heaven! Such bliss! But imagine, this comfy corner in heaven! Ahh! "What God made us to desire, and therefore what we do desire if we admit it, is exactly what he promises to those who follow Jesus Christ: a resurrected life in a resurrected body, with the resurrected Christ on a resurrected Earth. Our desires correspond precisely to God's plans. It's not that we want something, so we engage in wishful thinking that what we want exists. It's the opposite—the reason we want it is precisely because God has planned for it to exist. As we'll see, resurrected people living in a resurrected universe isn't our idea—it's God's."